Looking for the perfect luxury holiday accommodation in Koh Samui Thailand, then look no further than the W Retreat Koh Samui. 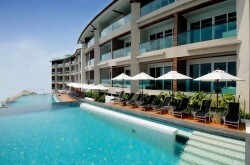 The resort is only a few steps from the beach, boasting its very own seafront on Mae Nam beach. If golden sands and clear blue waters are what you are looking for, W Retreat Koh Samui has it all! Beach Ambassadors will ensure you have a safe and enjoyable time, whilst a range of water sport activities are available for guests to try out. The hotel wants to make sure all its guests leave feeling relaxed and rejuvenated and its spa services do exactly that. The hotel’s seven treatment rooms offer a wide and varied set of treatments, from massages to complete body detox. Why not try out a natural healing therapy or an amazing herbal bath? If breaking a sweat is what you’re after, the hotel has a top of the range fitness centre available. Do cardio, lift weights or take part in a group yoga or Pilates class. There’s a personal trainer on hand to help you with any questions you may have. The hotel has a gorgeous outdoor infinity pool surrounded by sun loungers, making it the perfect place to top up your tan or cool off in the water. The pool bar can provide you with snacks, drinks, and light but tasty dishes. 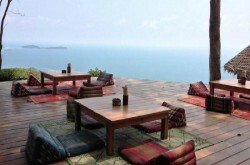 For all your culinary needs, W Retreat Koh Samui boasts a huge variety of dishes – from international to local cuisine. ‘The Kitchen Table’ and ‘Namu’ both feature tasty dishes and varied menus, whilst the hotel’s ‘Retreat Dining’ service brings local restaurant’s fare to your door. Every room at W Retreat Koh Samui is finished to the highest standard. There is a choice of rooms and amenities for guests, with each of the hotel’s 74 private villas featuring its very own private pool and patio area. Other amenities include an outdoor rain shower, private bathroom, daily maid service, air conditioning, widescreen and satellite television, room safe and complimentary guest slippers and bathrobes. In addition, the bathroom has its own widescreen television installed. The hotel is favourably positioned and near many local attractions. Guests can explore many of Koh Samui’s stunning beaches or take a boat out for a fishing trip. There are many local Buddhist monuments and landmarks to visit, and the nightlife is colourful and filled with everything from kickboxing to cabaret. 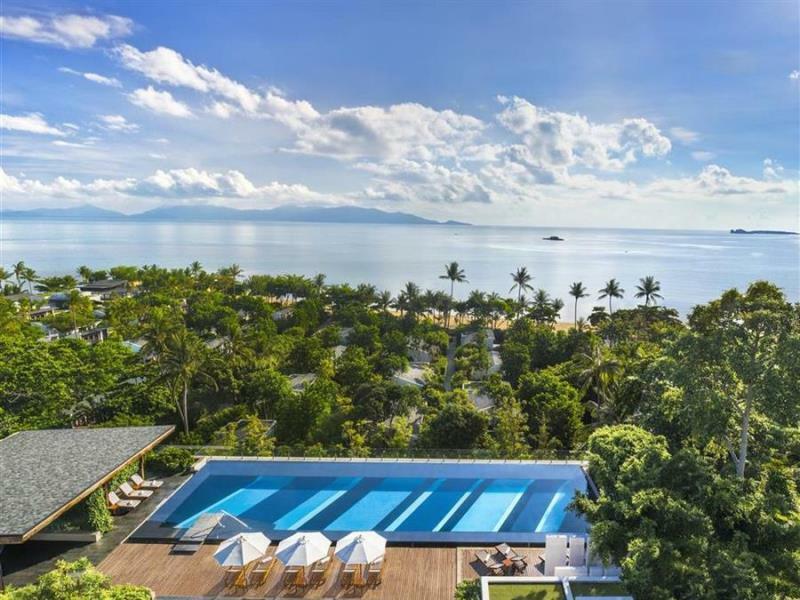 The W Retreat Koh Samui has been given a five-star rating from Agoda and has received excellent reviews from previous guests. For W Retreat Koh Samui booking click on “book Now” link above to get the latest prices.